A short visit to Lucca was enough for us to fall in love with it! 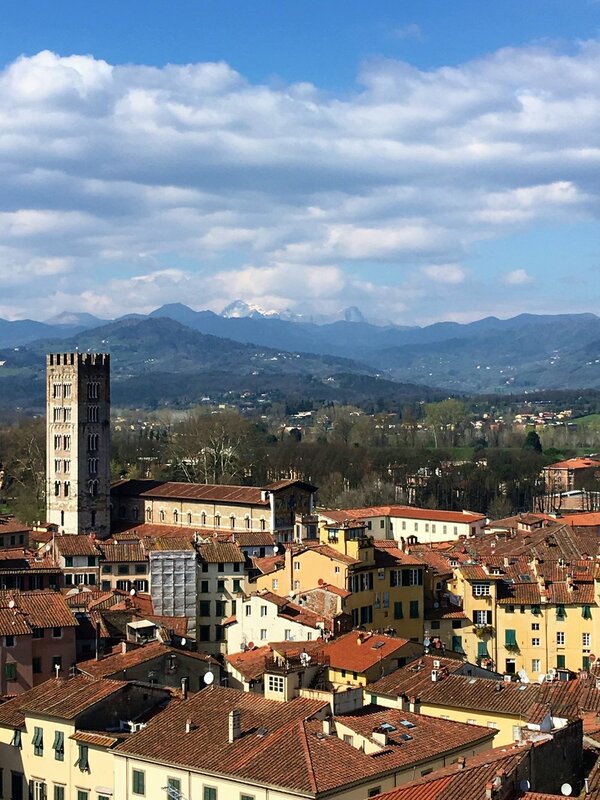 We spent a day getting to know the Tuscan city of Lucca with it's Renaissance-era city walls. 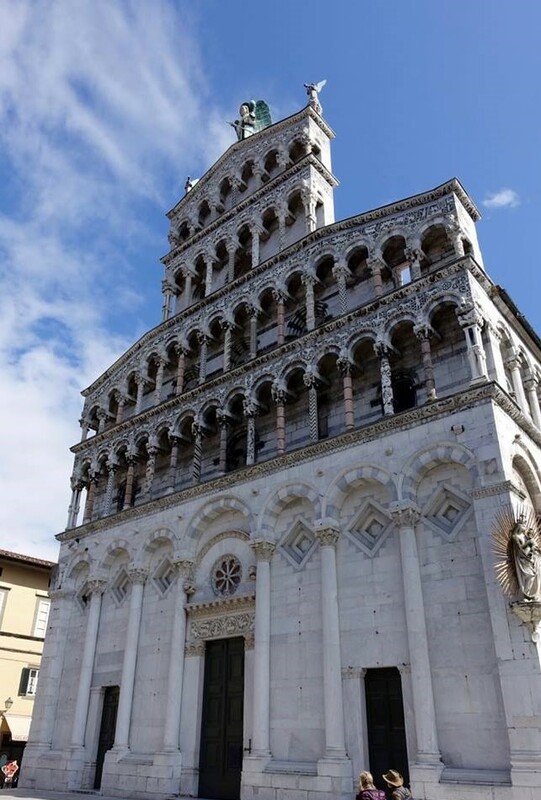 Lucca was founded by the Etruscans and made a Roman colony in about 180 B.C. The city is compact and it's charm is enhanced by the use of bicycles as the most common form of transit. 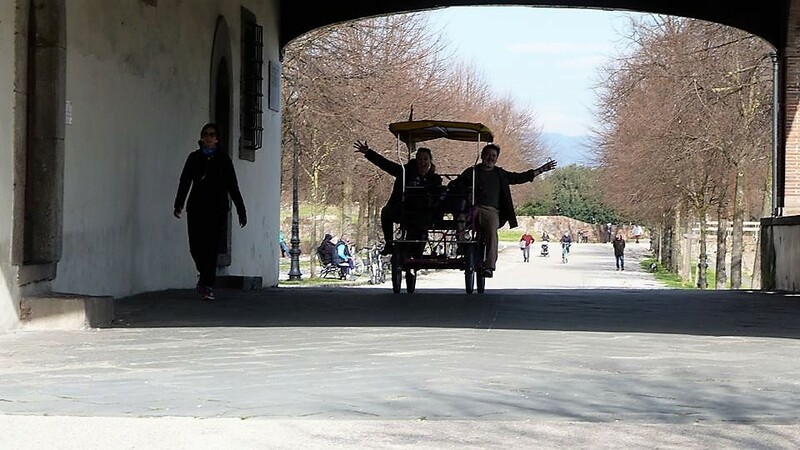 Our magical visit included the Piazza dell'Anfiteatro, a square built from the remains of a Roman amphitheater, a climb to the breezy top of Guinigi Tower with its Holm Oak trees providing shade, and a leisurely bike ride around the top of the city walls. 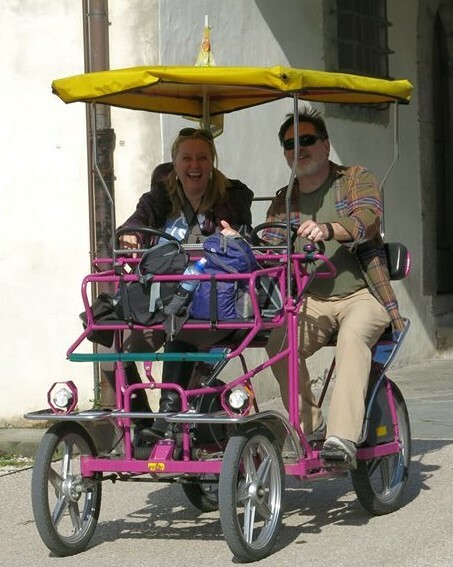 Rick says that "Europeans love bicycles, and they are often genuinely impressed when they encounter Americans who reject the view from the tour-bus window in favor of huffing and puffing on two wheels." I hope they were impressed with our bicycle built for two!